Delta Airlines charged a U.S. family whose son was in need of urgent medical care more than $6,000 to fly to the U.S. after their vacation in Thailand was cut short when a motorcycle struck the young boy Saturday. Bennett Davis, 5, requires care from a pediatric surgeon in the U.S. or risks long-term damage to his leg, which was severely injured in the accident, according to Tyler Davis, the boy’s uncle. Delta initially had the family booked for a flight, but a U.S.-based surgeon urged the family to wait for swelling to decrease before flying. The doctor also stressed the need for Bennett to elevate his leg during the flight, something that is impossible in economy class. Delta said that despite the medical emergency, an upgrade to first class reclining seats would cost $3,125 per ticket. If their were empty seats available in first class, this is an example of corporate greed and/or lack of compassion at its worst. I doubt the poor boy would have needed the premium meals and drinks that go with being in this section of the plane! I thought the airlines had the right to refuse to let a passenger board who was medically unfit for the flight? Typical Delta. Nasty people in my experience when I flew to Thailand. Overweight middle aged women and men with lots of jewelry banging around when they tried to occasionally work. i wonder if all this publicity will convince them to lift their game? The mentality of Delta employees is that the airline exists for them rather than for their customers. More to this story, must be. Delta does not fly to Bangkok has not for years. By the way I’m up there frequently and Business is full MOST OF THE TIME, on every airline except for ANA, not empty, because of upgrades. A real medical evacuation flight on a private jet costs an enormous amount of money even the airlines that have equipment to block economy seats to put in a stretcher charge for 6-9 seats based on configuration. Why didn't their insurance pay? So they want others to pay for the care of their son. And even worse, they have so much lack of a conscience they seek publicity in order for the others to pay for them. 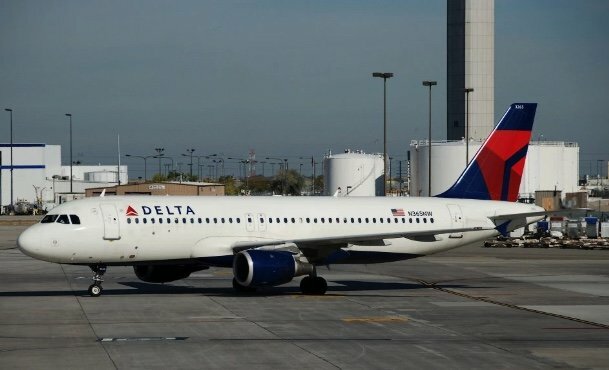 Delta stopped flying to BKK in 2016, so what is the story about? Either it was a codeshare flight booked through Delta or it's a bogus story. If anybody bothered to click the link to the story, it goes into an explanation. A FURIOUS uncle has blasted Delta for not offering his family cheaper flights home after his young nephew broke his leg in Thailand. Tyler Davis wrote a series of messages on Twitter about the issue that's divided the internet. Tyler's nephew broke his leg in Thailand after he was hit by a motorbike. According to a series of tweets, Tyler's brother wanted to fly home early with his son for treatment with a paediatric orthopaedic surgeon and requested business class seats so the boy could keep his leg elevated in a bid to avoid blood clots. Tyler accused Delta of leaving them abroad as they were unable to offer the father and son business class seats on a flight for less than £5,000.